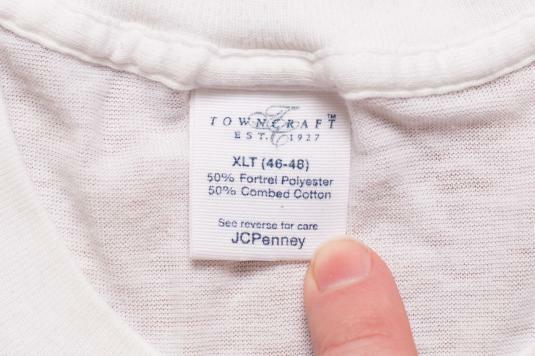 True vintage 1980s Towncraft crewneck t-shirt; made in USA. It is a see-thru thin blend of 50% combed cotton and 50% Fortrel polyester. This is as soft as they come! :D The shirt is in very good vintage used condition with pilling and some very faint staining in pits. ***Don't go by tag size! *** – Use measurements to ensure proper fit.